There are plenty of reasons to visit Iceland, but perhaps the best reason of all is its beauty. This country is wild and remote, with dream-like landscapes and active volcanos, brilliant blue lagoons, and towering cliffs. Here are 11 reasons you should pack your camera and get on the next flight to Iceland. 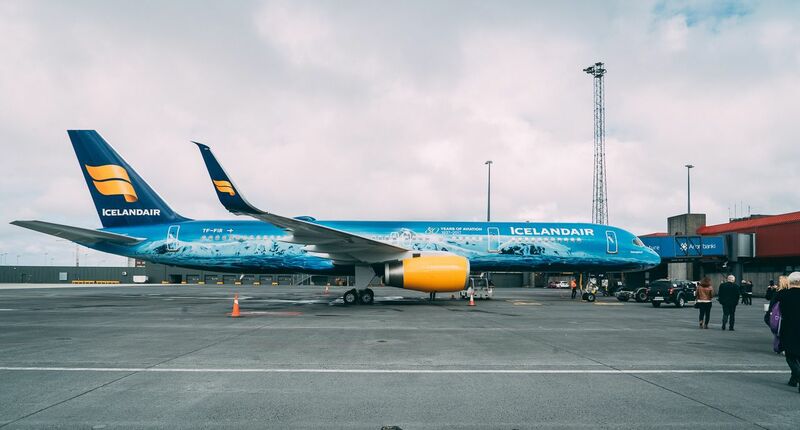 Icelandair has stepped up their game to make traveling to Iceland truly attractive. Not only is the Vatnajökull plane decorated with a hand-painted image of the glacier for which it is named, it has a glacier-themed interior. 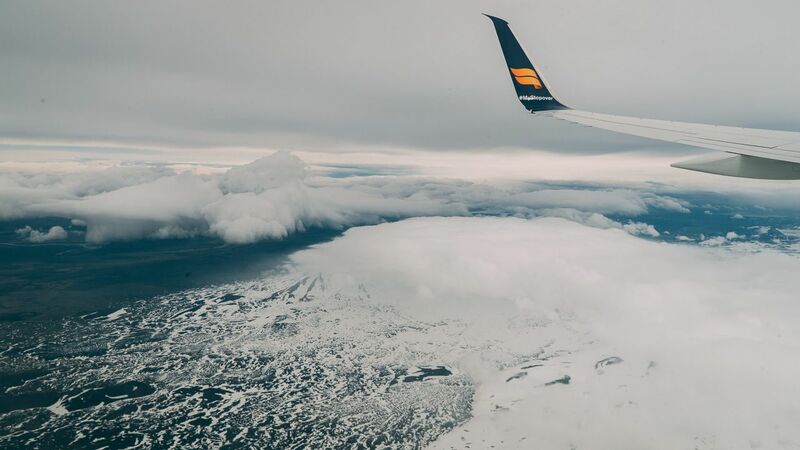 Icelandair guarantees a view of many of Iceland’s glaciers from above. 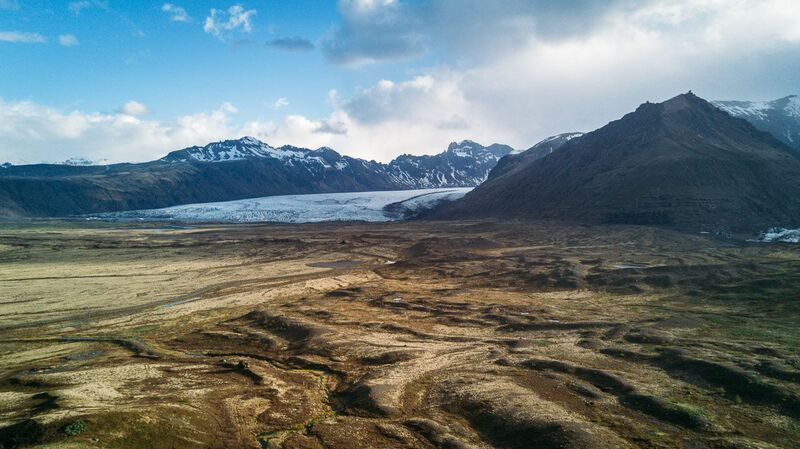 The Vatnajökull glacier – the largest one in Iceland and among the largest in Europe – has several volcanoes lying under it. It is the most active in Iceland with around 60 eruptions over the last 800 years – in fact, Iceland sees an eruption somewhere on the island roughly every 4 years or so. Seeing all this from the air was a most exciting introduction to Iceland. 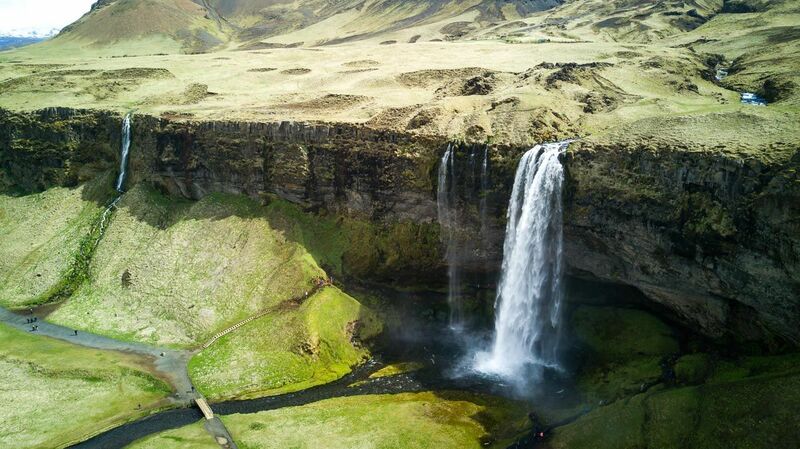 Iceland has around 30 waterfalls that are named and well known. The Skógafoss waterfall, located in southern Iceland, tumbles over the cliffs for 200 ft., with lots of spray, so that on sunny days, there’s often a rainbow. For a photographer, the scene is perfect. 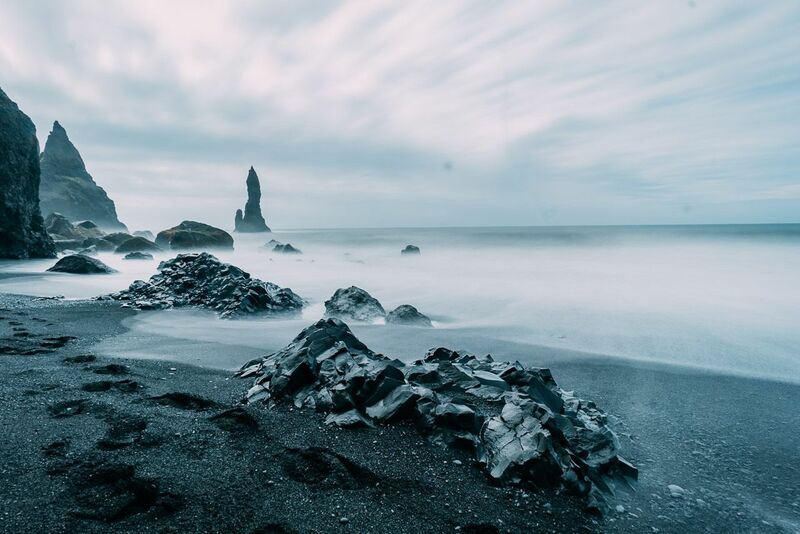 The famous Reynisfjara shore and its black beach , near the village Vík , is widely regarded as the most impressive black-sand beach in Iceland, and among the most beautiful non-tropical beaches in the entire world. It has rich birdlife and stunning sea stacks. The legend of the stacks is that some trolls tried to drag a ship with several masts to shore, but when morning came everything turned to rock. 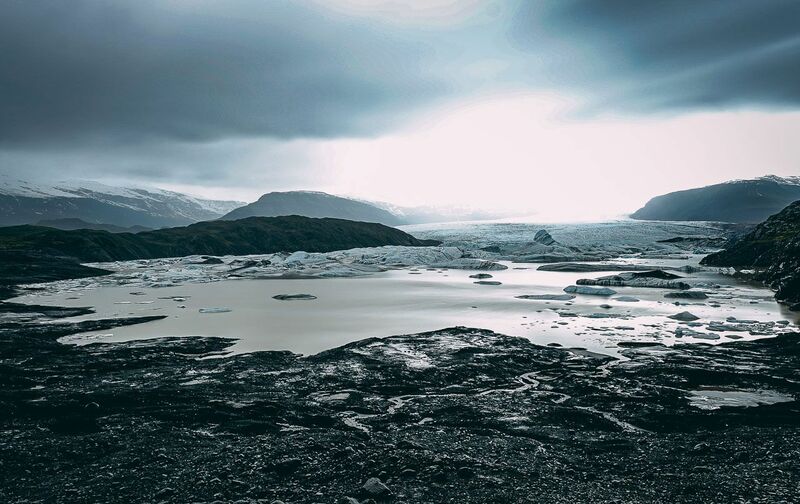 Icelandic landscapes have been carved by ice and fire for thousands of years. 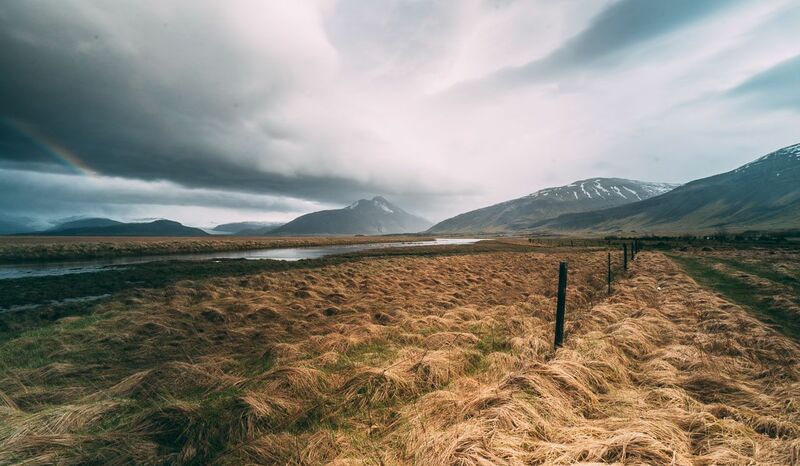 Other countries have large cliff drops, waterfalls, volcanoes – but Iceland is so small to have so much, so close together, and something about it being an island makes it feel remote. Hoffellsjökull is an outlet glacier, flowing from Vatnajokull. An outlet glacier occurs when ice is flanked by bedrock, and as the ice moves, it is forced through the gap, and “pools” outward. While Hoffelsjökul is enormous, it is retreating and losing volume every year — because of climate change. The past years there has been a massive tourism boom in Iceland. 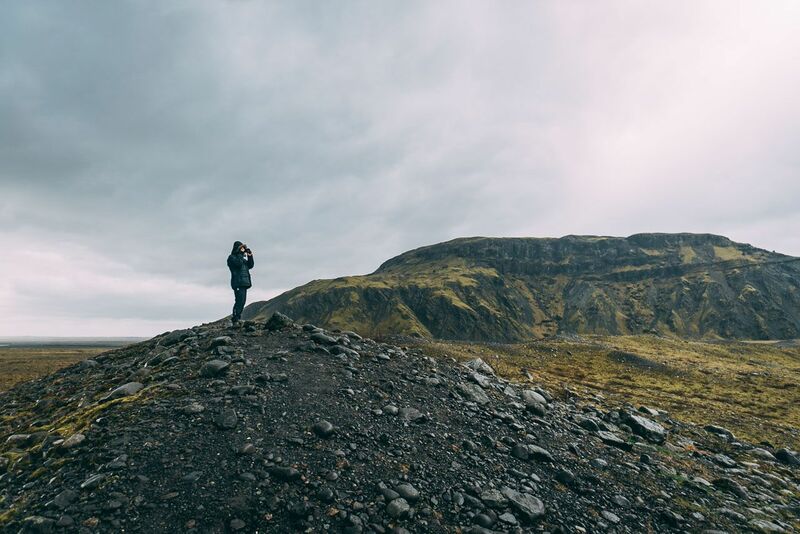 Iceland has become a mecca for photographers and filmmakers looking to capture the drama, the otherworldly feel of the place, the sheer size of it all. While that means more people vying to experience the same sights, it also means more tour companies, hostels, and assistance to make your trip as great as possible. 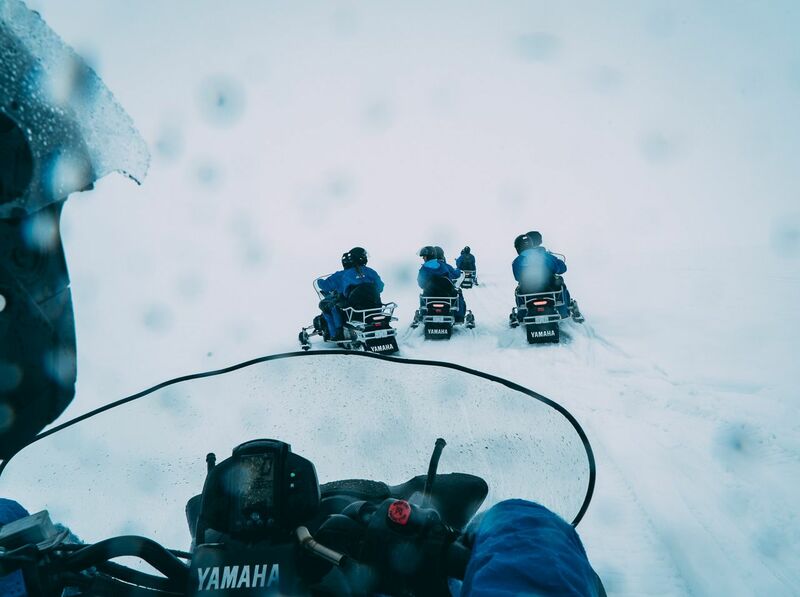 I was able to explore by snowmobile, which let me get out away from the roads and other visitors, so I could feel engulfed by the wilderness and expense of Iceland. 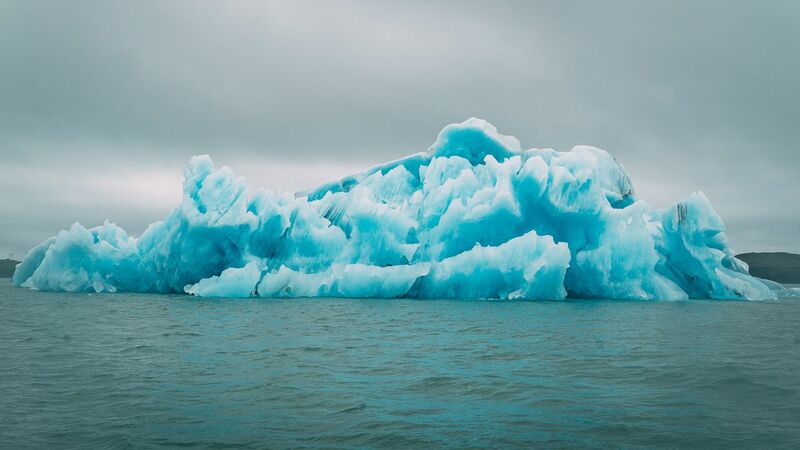 The Jökulsárlón Glacier Lagoon is in a state of constant change as it opens to the ocean. 10. You can forget about Photoshop. The reality of the Icelandic landscape is plenty good enough. 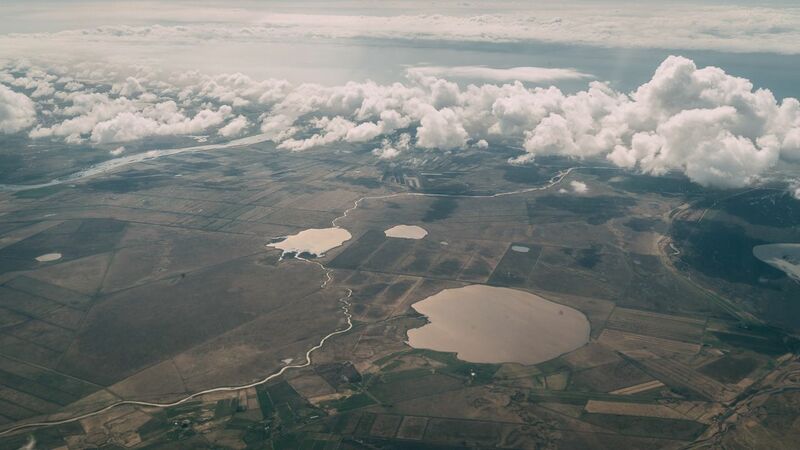 Flying over Iceland is an unforgettable experience – especially when you are leaving. Soaring over everything you just witnessed is a great way to end an amazing visit to Iceland.